Cobra Golf, one of the leaders in golf club innovation and excellent performance, has lifted the veil on its latest adjustable weight technology range with the Fly-Z+ Driver, which features the all-news FlipZone weight technology – a revolutionary, moveable weight system engineered to provide players with two different flight paths in one club that enables maximum distance for any swing and any golfer. Alongside this, Cobra also introduces the Fly-Z and Fly-Z XL drivers, making up a delightful family of clubs ready to drop in time for the new season. Starting with the Fly-Z+ Driver, this is sure to be the club garnering most of the attention due to its generous offering of technology, notably FlipZone; allowing golfers to choose between two different centre of gravity positions. If a player was to place the gold-coloured, 15-gram FlipZone insert in the forward position in the sole of the driver, the club would deliver a CG that is low and forward. Should they place it in the rearward position, it would produce a CG that is low and back in the clubhead. The idea behind this design is intended to be very easy and effective for players to choose between the two prominent CG locations that are currently being hotly debated by golfers and brands alike – use what you think works better. "Flip it and rip it," said Tom Olsavsky, Cobra Golf's vice president of research and development. "In our research we are finding that 60 percent of amateur golfers prefer it in the back, while 40 percent like it in the front. The front is more penetrating, with maximum distance and more roll. The back gives a more towering flight, with more carry. We don't want people to automatically think the front is longer than that back. We find that people who like it back will hit it farther in the back position, and those who choose the front will hit it better that way." Rickie Fowler, Cobra Golf athlete and PGA Tour Pro, speaking about the Cobra Golf Fly-Z+ Driver: “I’m really excited about the new Fly-Z+ driver. In our early prototype testing I saw the positive effects the two settings could have on ball flight. For me, the front CG setting yielded the ball flight I want to see on the course, The adjustable loft setting COBRA introduced last year was a huge advantage to my game, but now adding this new Zone Weighting to fine tune ball flight is really game-changing." 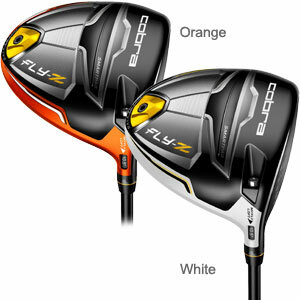 Next up is the Fly-Z Driver, which includes the 15-gram weight secured in the back position. Unlike the Fly-Z+ however, it cannot be moved. The club is engineered to deliver the ultimate blend of maximum distance and increased forgiveness, while the low, back CG Zone Weighting delivers low spin, mid-high launch and faster golf ball speeds right across the face. The E9 Zone Face structure and Crown Zone Weighting combine beautifully to create a large amount of discretionary weight in an all-titanium driver. The weight that is saved is strategically positioned low and back in the head, where the back zone weight is located. (Note: the Fly-Z driver in its fixed, back CG position yields approximately 1 degree of increased launch angle and approximately 300 RPM’s of additional spin than the Fly-Z+ driver in the back FlipZone position, and is more stable on off-center hits). Crammed in with the rest of the technology is MyFly8 – allowing golfers to choose from eight simple adjustable loft/trajectory settings (9.0o-12.0o) to maximize distance and manage trajectory, while SmartPad delivers a square face at address regardless of loft setting. The Fly-Z driver is available in five colors (Black, White, Blue, Orange and Red) in RH/LH in Lite, Regular, Stiff and X-Stiff flexes. Featuring a 6-4 Titanium body with a Forged 6-4 Titanium face, Fly-Z driver comes with a graphite, Matrix VLCT SP shaft and Lamkin REL 360 grip. Cobra Golf has also made sure to reconfigure the Fly-Z technology for women golfers so that the CG, lofts (10.5o – 13.5o) and overall performance is better maximised for a slower swing speed. The women’s Fly-Z Driver is available in three colours (subject to availability): Raspberry, Silver Flower Pearl and Ultramarine. It features a Graphite, Matrix VLCT SP shaft in ladies flex with a Winn Wrap grip. 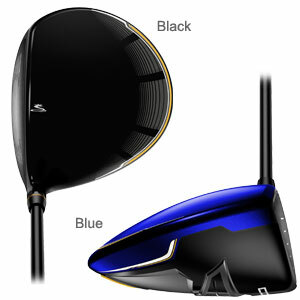 Last but by no means least is the Fly-Z XL Driver. Engineered to help make golf easier through the use of higher draw-biased ball flights which can deliver easy distance, this is a club that will turn a lot of heads on the golf course. A 460cc, all-titanium head features a slightly lower profile face combined with an offset hosel to deliver the trajectory often needed by seniors, women and beginning golfers. Speed Channel Face with Forged E9 Face Weighting, Crown Zone Technology and an all-titanium head saves weight and helps players achieve a back position that yields greater forgiveness and draw bias. The high MOI sole geometry combined with an offset design makes the Fly-Z XL that much easier to hit straight by correcting slices, increasing stability and maintaining excellent distance. Fly-Z XL features a Graphite, Matrix shaft and is available in 9.5°, 10.5° and 11.5° in Stiff, Regular or Lite flexes in right-handed or left-handed models. The Driver has a Lamkin REL 360 Grip. The new Cobra Golf Fly-Z Driver Family will be arriving soon to american golf both in-store and online, so keep checking back for updates. Check out the full range of Cobra Golf equipment we have available now to tide you over before the launch of the brand new Fly-Z family.